At V Care Dental, we believe that teaching children good dental habits from an early age is vital. This not only helps them to maintain a nice smile and improve their self-confidence, but also reduces their risk of developing preventable dental problems such as gum disease and cavities. For this reason, regular appointments with a paediatric dentist are recommended. The dental care for children at V Care Dental teaches children the importance of oral hygiene, recommending the best cleaning tools and techniques. We can also thoroughly check their teeth to identify any developing problems before they become serious. We’re confident that children will walk away with a new appreciation for their teeth and the desire to keep them strong and healthy. What Does a Children’s Dental Check-Up Involve? 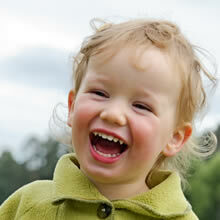 Above all, you can expect our bulk billing children’s dentist to maintain a friendly and reassuring approach. We know that visiting the dentist can be nerve-wracking, which is why we do our best to make kids feel as comfortable and safe as possible so they’re encouraged to visit us again in the future. To learn more about a specific dental treatment for children or to make an appointment for children’s dentistry in Patterson Lakes or Frankston, contact V Care Dental today on (03) 9772 7175. You can also submit an enquiry through our online contact form to receive a prompt response.